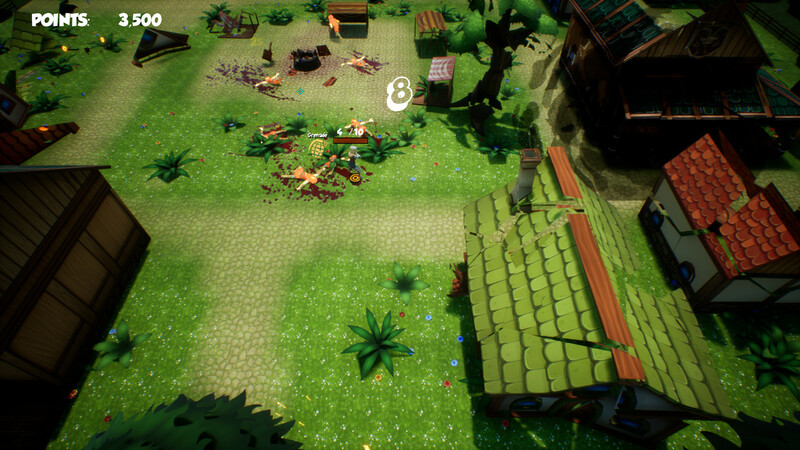 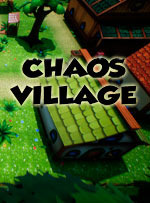 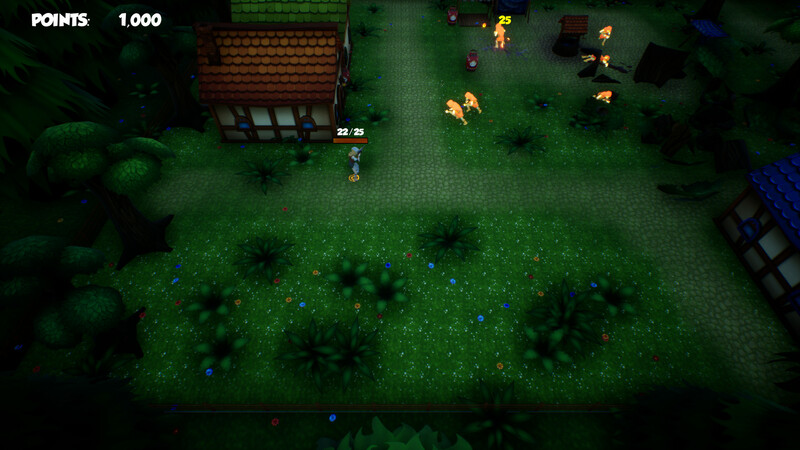 Chaos Village is a top-down chaotic shooter game with various weapons, perks and power ups. 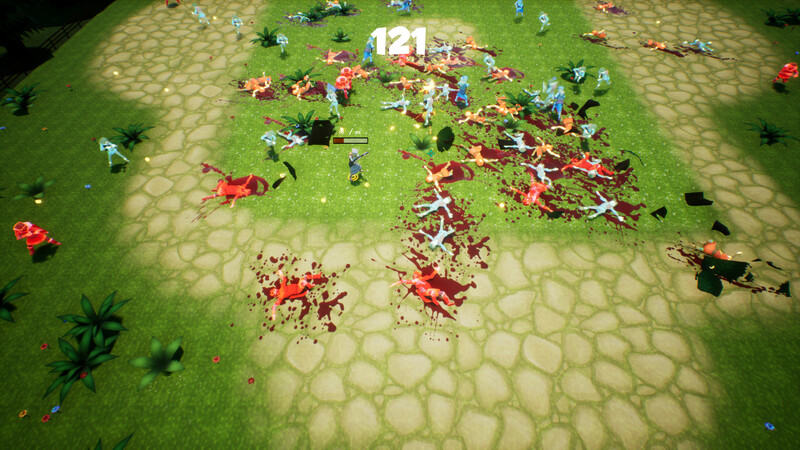 You can try to beat 60 levels of classic gameplay or test your record on Survive mode. 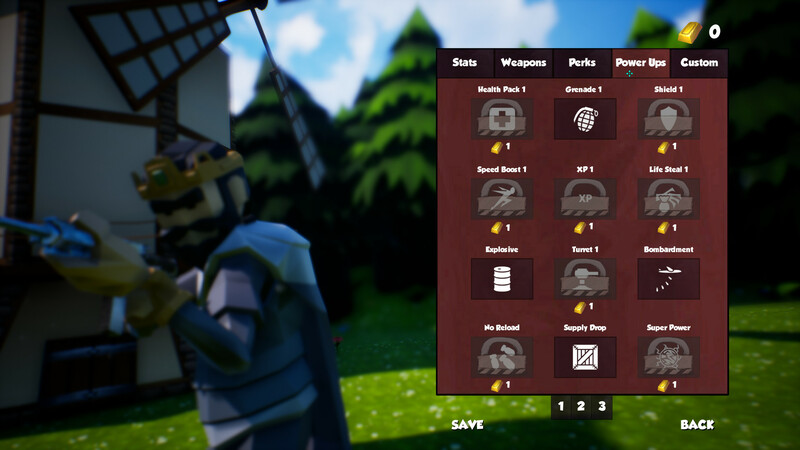 At the end of every round, you get experience to level up and unlock new weapons or modifications. 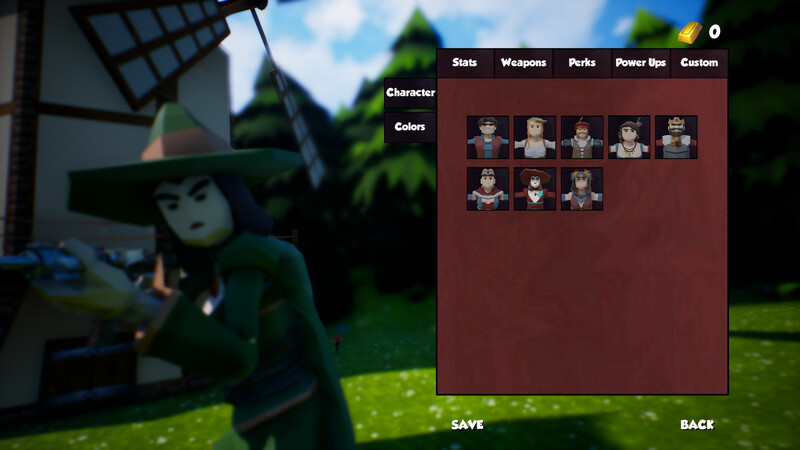 In the customization screen, you can change the way your character looks; different characters and different color patterns.